There is no kid I know that is not thrilled to discover the word "underwear" in a book. As I read Creepy Pair of Underwear, I thought about how much it would please kids to read a book in which underwear is a main part of the plot. The dedication, in which Aaron Reynolds dedicates the book to kids at an elementary school and "the one kid who asked for a story about scary underpants," further highlights kids' fascination with the undergarment. Kids will be fascinated with this book, for sure. Jasper Rabbit spots a pair of glorious, but creepy underwear and his mom agrees to buy them for him. While Jasper insists he is a big rabbit, the ghoulish, green glow of the creepy underwear frighten him while he tries to sleep at night. Jasper tries and tries to get rid of his creepy underwear, but they keep turning back up. Jasper's attempts to rid himself of the underwear are amusing. Although he is a clever problem solver, the underwear seems to have a mind of its own. Readers will root for Jasper to win out over the underwear, but will also be satisfied with the ending in which Jasper conquers his fear and also puts the underwear to good use. Creepy Pair of Underwear will definitely give kids a good laugh. They will also be entertained by the spookiness of the story and the illustrations. 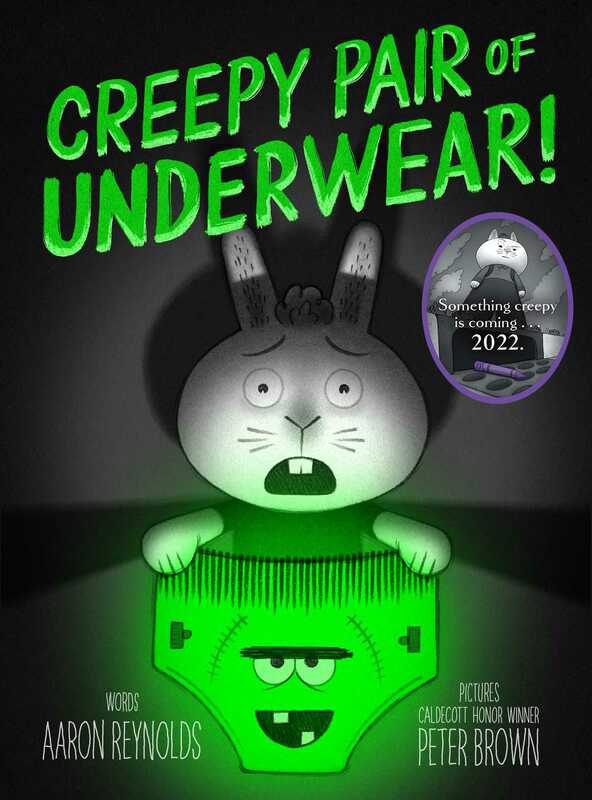 The illustrator, Peter Brown, has artfully created a pair of creepy underwear that appears to be glowing. This book is the perfect combination of fun and fright.